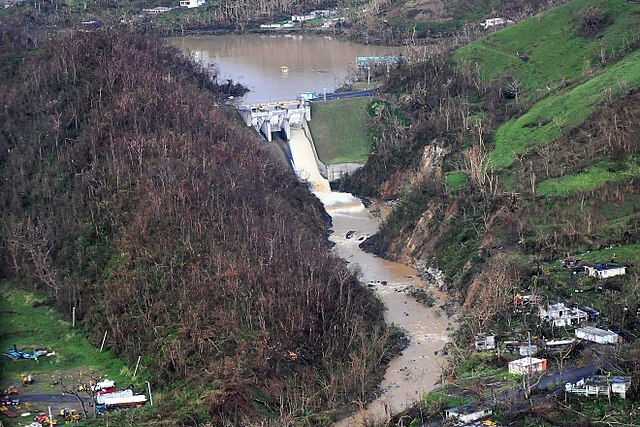 Puerto Rico (Sputnik) – A new study published in the New England Journal of Medicine Tuesday estimated that some 4,645 people died following the September 2017 landfall of Hurricane Maria in Puerto Rico – not 64, the official death toll. Researchers came to their conclusion by surveying some 3,299 households across the island and inquiring as to how many people within the home died from injuries and illness sustained as a result of the hurricane. Officials later compared their results to the island’s official mortality statistics from 2016 to determine their estimates. “The most vulnerable — the elderly, the sick — were left on their own, many died,” he added. Listen to “Study finds Puerto Rico hurricane death toll vastly larger than official figures” on Spreaker. When Kiriakou remarked that other as-yet unpublished studies might even suggest higher death tolls, Matos said he wouldn’t be shocked. When the hurricane hit on September 20, 2017, Puerto Rico suffered a massive blackout, losing all electrical power on the entire island, leaving hospitals, clinics and emergency responders struggling to provide medical attention. Months after Maria made landfall, the island has struggled to fully restore its power grid. As Sputnik previously reported, more than 61,000 residents were still without power when numbers were last reported in April by the US Department of Energy. Proving just how fragile Puerto Rico’s power grid is, nearly 40 percent of the island’s population lost power in April 2018 when a tree fell on a major power line in the capital of San Juan. With the study indicating that “approximately one third of post-hurricane deaths were reported by household members as being caused by delayed or prevented access to medical care,” Matos explained to Kiriakou that a lack of communication was also to blame on the matter. Researchers noted in the study that they had no other choice than to use data from 2016 to determine an estimate for Hurricane Maria-related deaths because the Puerto Rican government declined to share its mortality data for 2017. With thousands of Puerto Ricans having left the island since the hurricane struck, Matos suggested it was unlikely many would be quick to return, especially since the the Island of Enchantment hasn’t seen many improvements since Maria. In 2011, Hurricane Irene came tearing through the island, dropping heavy rainfall and strong winds.